Richard Hardy was one of three individuals deemed by the judges to have made an Outstanding Contribution to the professional services sector in Coventry and Warwickshire and to the region’s wider business community. 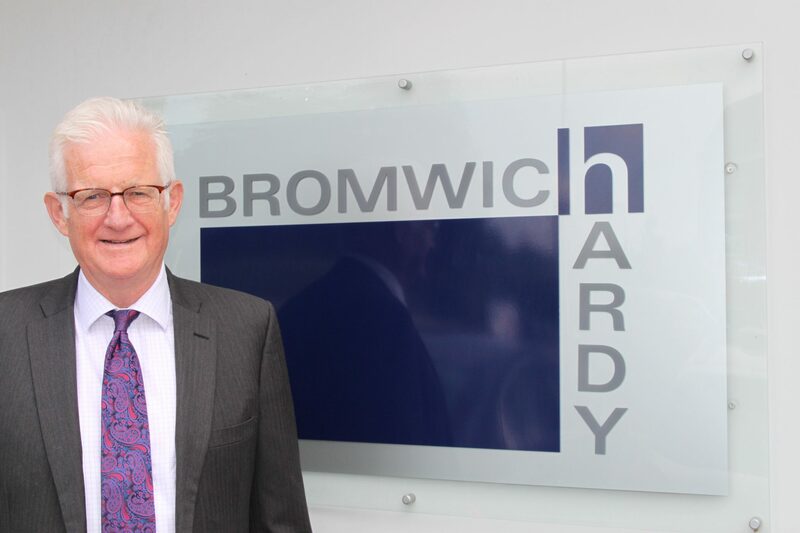 A founding partner of Bromwich Hardy and one of the most experienced chartered surveyors in the Coventry & Warwickshire area, Richard is a former High Sheriff of Warwickshire and a trustee of Warwickshire Crime Beat, Positive about Young People and Sir Thomas White’s Charity. He told us he felt bemused when he was named on the night. I have never sought any recognition or self-publicity so this came as a complete surprise. I was flattered and my friends and colleagues have been very supportive since. I’ve acted for the Volvo Group for 20 years. They use an international agent throughout the world except in the UK. I have had to compete against national agents and pitched in front of the Volvo board in Sweden. I am very proud of having sustained such a strong relationship over so long. I put in the time and effort to learn about their business and know every property they have in the UK. The longevity of my client relationships is perhaps the thing I am most proud of; as well as Volvo I have a number of long standing clients, some of which have been with me for 35 years. I’m also proud of Bromwich Hardy. Tom Bromwich and I have built a strong business through sheer hard work. We set up in 2008 and if you can survive setting up a business at the start of a recession you can survive anything! I want to continue to improve and provide a good service to my clients. You can never sit on your laurels! How do you think the regional economy is performing? Our region was doing very well prior to Brexit. The property market was booming and everyone was positive. There was plenty of investment coming into Coventry and Warwickshire, in large part, of course, driven by the success of Jaguar Land Rover. Since the vote our clients have taken a deep breath and said “business as usual”. We need time now to see how things will pan out. Do you have a role in the wider area? My focus was always on uniting the north and south of Warwickshire. The north is too often seen as the poor relation of the south and I wanted to re-dress that balance. In addition I wanted to highlight the needs of underprivileged children throughout the County and find ways of giving them a sense of purpose both for themselves and their communities. I love music; we’re frequent concert goers and also regulars at Glastonbury! (That raises a few eyebrows!) It’s a completely different environment to my professional life and so is a perfect way to unwind. I am also a fan of cricket and rugby and now a season ticket holder at Wasps RFC and am delighted that they have come to the Ricoh Arena, bringing top flight rugby to Coventry and Warwickshire.